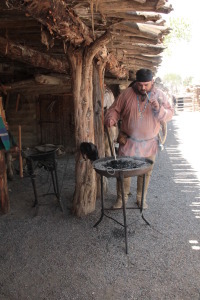 The Interpretive Association is also pleased to announce that they will be taking over the operations of Fort Uncompahgre Living History Museum located in Delta, CO this coming season and will be working closely with the National Old Spanish Trail organization to create an interpretive site at the Fort that will connect the fur trapping history with the history of the north branch of the Old Spanish Trail that came through Montrose, Delta and Grand Junction. The Old Spanish National Historic Trail was designated in 2002 as “the longest, most crookest, and arduous pack mule route in the history of America”. The Old Spanish Trail is administered by the Bureau of Land Management and National Park Service. The Interpretive Association is now taking applications for volunteers to help with the operations of the Fort‘s Visitor Center. Organization of a Friends of the Fort and the Old Spanish Trail Advisory Group will top the list of priorities. IAWC also needs volunteers that are interested in the following, Exterior Exhibits and Trails, Social Media, Historic Restoration Workshops, Etho-History Programs, and Cultural & Natural History programs. IAWC plans to operate the Fort 7-days a week, beginning in June when the new parking structure is completed and closing the end of September for winter. IAWC is planning an opening weekend event that will be Free to the public. For information on how you can get involved and to request a volunteer application please contact Chris Miller, Executive Director, 970-874-6695 or email info@interpcolorado.org. 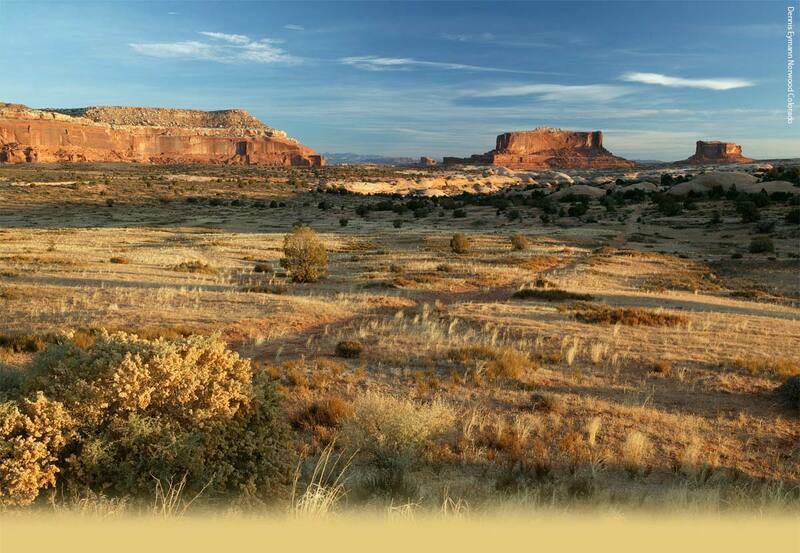 The Fort on the Old Spanish Trail is located in the heart of western Colorado’s recreational and travel routes. The goal is to provide a central point where the public can interface with agency staff/volunteers to learn about the North Branch of the OST and the role it played in historic trade and travel routes. Antoine Roubidoux chose his location because of this. The project will re-purpose and add value to the already existing Fort Uncompahgre owned by the City of Delta. OST Visitor and Interpretive Center would include parking, trails and restrooms, access to rivers and public recreation. The Center reflects the local heritage and cultural aspects of the historic trade and travel routes. .
Public Lands make up 51% of Delta County. Lands include the Black Canyon of the Gunnison National Park, Gunnison Gorge NCA, Dominguez/Escalante NCA, Currecanti National Recreation Area, Gunnison National Forest, Grand Mesa National Forest, Uncompahgre National Forest, West Elks Wilderness Area, Gunnison Gorge Wilderness Area, The Grand Mesa National Scenic and Historic Byway, The West Elk Loop and the Unaweep Tabeguache Byway. The Center is centrally located as a gateway to two BLM National Conservation Areas and other destination-level recreational areas on adjacent public lands. The Center could help users to understand and comply with rules and restrictions on BLM transportation routes. There are a number of transportation designations and restrictions on BLM lands that will be served by the Center including river corridors, OHV “open” areas, routes with seasonal closures, designated route systems, trails designated for specific types of travel, and areas (including designated wilderness) restricted to non-motorized/non-mechanized travel. All of these present a challenge for BLM and could help users understand and comply with transportation regulations. It’s particularly challenging when users who are unfamiliar with the area show up for the first time. The Center could be a strong resource for providing this kind of information to the visiting public just before they get to the BLM lands. The Center is located along a new truck route that is intended to take large truck traffic off of the already busy main street and provide a safer use for shoppers and the retailers. From the Center routes are being constructed for foot traffic and bicycle use that will create a system for people to get into the downtown area, to the recreation center and onto a trail to access nearby BLM lands. Also within the site there would be river access for put-in and take-outs that will create a larger river use that has been limited in the past. By providing solid information about the many public lands that surround Delta and encouraging travelers to experience the local cuisine and culture after their hike, this Center will be a much needed hub for the community. Surrounding communities that will be affected by the new truck route will have an opportunity to drive travelers to see them as well. This will provide an opportunity for economic growth and benefit for the local population. It is well known that a substantial number of people, locals and visitors, will report that they have never been on the Grand Mesa; that they didn’t know there were canyons between Delta and Grand Junction; or that you fly fish in the Black Canyon, when in fact, you are in the Gunnison Gorge NCA. These misconceptions might appear to be harmless, yet safety hazards can exist for those who are unprepared. The Visitor and Interpretive Center will help the local and the visitor orient themselves to the area and offer information about the use of these great outdoor playgrounds. Due to the size and scope of the public lands surrounding the Center the safety of the public is a concern. There is terrain that goes from rivers in red rock canyons to high alpine meadows, with an elevation increase of nearly 7,000 feet in only a 45 minute drive. People can find themselves stranded on a road that was dry when they came down it thirty minutes early and is now a sticky, muddy impassable road. Sudden thunderstorms can occur without much warning here and the more drastic change in elevation can bring on altitude sickness, even to veteran locals. In partnership with our federal and state partners we could interpret the heritage sites and ecosystems so that the user groups will understand how valuable these lands are to the population surrounding them and how to use them with respect so that they will remain pristine for generations to come. The view sheds, watersheds and wildlife habitat are an important part of the intrinsic qualities in the canyons, rivers and mountains that surround the City of Delta. Along with our partners we feel that providing this resource will help with conflicts that can occur on public lands by directing the users to the proper areas where they will be safe and have an enjoyable experience.